Home › Current Events › What if the Quran were the Bible? What if the Quran were the Bible? Islam is in the news these days—and mostly not in a good way. Unfortunately, the version of Islam that is grabbing the headlines is its violent, fundamentalist wing. The recent attacks by Muslim extremists in Paris and San Bernardino are only the latest in a long series of violent incidents driven by this fundamentalist version of Islam. As a result, many Christians and other non-Muslims have gotten the idea that Islam is a violent, extremist religion that is by its very nature in conflict with Christianity and with Western values. It doesn’t matter how often moderate Muslims say that violence is not what Islam is about, and that Islam is a religion of peace. For many Westerners, one look at the news is enough to convince them that Islam = violence, not to mention oppression of women and many other highly objectionable practices and beliefs. But what if Islam’s holy book were not the Quran, but the Bible? Wouldn’t that make Islam a truly peaceful religion? A Dutch YouTube duo called Dit Is Normaal decided to find out with a public experiment. What do you think of these statements from the Quran? The Dit Is Normaal duo bought a Bible (Hey! Didn’t they have one at home?!? ), and disguised it as a Quran. They then read several little-known passages from the Bible to people on the street, who thought they were hearing from the Quran. Women must be quiet and submissive, and may not teach. Two men who sleep together must be put to death. As punishment for a particular crime, the offender’s hand is to be cut off. Those who reject God’s commandments will eat the flesh of their own children. They thought these teachings from the “Quran” must simply be the way that religion is. And they didn’t like it at all. When they were told that these passages were not from the Quran, but from the Bible, they were dumbfounded. Is Islam violent and Christianity peaceful? The reality is that both the Quran and the Bible have some horribly violent and archaic commandments that are presented as the will of God. And the reality also is that both the Quran and the Bible have some beautifully spiritual and peaceful passages. So why is Islam so violent, while Christianity is much more peaceful? After all, the violence of Islamic extremists is all over the news. Quite frankly, the perception that Islam is an inherently violent religion has more to do with what grabs the headlines than with the actual nature of Islam. Violence of any sort grabs the headlines, and gets covered heavily in the news. Peaceful, law-abiding citizens, whether Christian, Muslim, Jewish, Hindu, Buddhist, agnostic, or atheist, just go quietly about their business, and go largely unnoticed. In particular, the Middle East has been a turbulent area of the world for thousands of years. This was true long before Islam even existed. As the crossroads where the three continents of Europe, Africa, and Asia meet, the Middle East has always been a corridor not only for trade, but also for conquest and conflict. And I would suggest that it is this conflicted history itself that drives the violence of the fundamentalist and extremist wings of the various religions that have been associated with the Middle East—Judaism, Christianity, and Islam—rather than the other way around. The wars and conflicts of the Middle East are driven by the same things that drive wars and conflicts everywhere else: a desire for wealth, power, and control. And when particular groups of people who happen to belong to a particular religion strive for those things, they will look to their religion to justify their wars, their violence, and their conquest of people other races, nations, and religions. 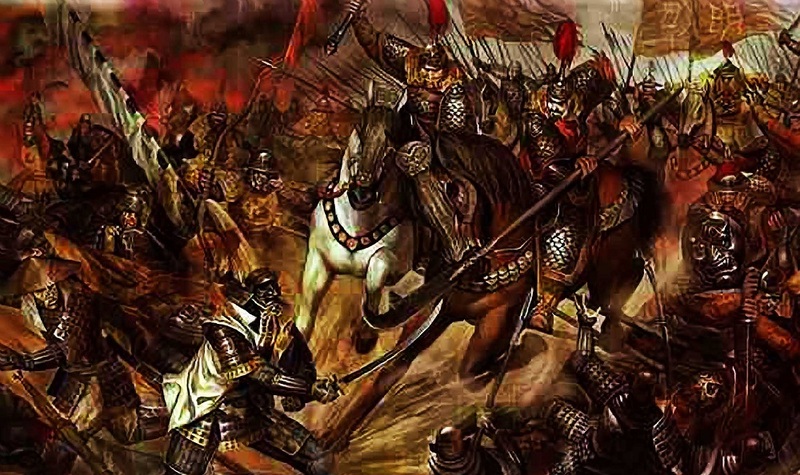 Over the centuries, many wars have been fought in the name of Christianity. And the Christians who have fought those wars have quoted the Bible to justify their crusades and battles—not to mention to support and justify slavery, the oppression of women, and many other institutions and practices that we find objectionable and immoral today. Even today, Christianity is not a universally peaceful religion. For example, in the past few years Christian militias in the Central African Republic have engaged in much bloody violence against Muslims (see: “Christian militias take bloody revenge on Muslims in Central African Republic”). In violent times and regions, Christians can be just as violent as any other group that lives in violent times and regions. How do we interpret our holy books? As I said, the reality is that both the Bible and the Quran have their violent passages and their peaceful passages. Which ones do we pay attention to? How do we interpret the violent parts of our holy books? Though it doesn’t get so much press, millions of moderate Muslims around the world read the very same Quran as the Islamic extremists do, but they see Islam as a religion of peace, and they practice that peacefulness in their lives. 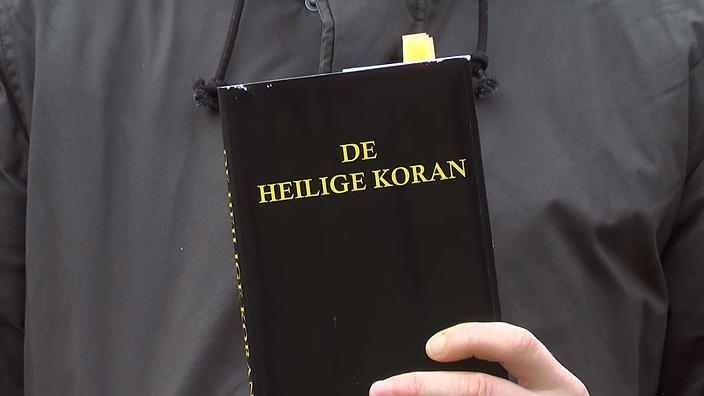 And of course, millions of mainline Christians read the very same Bible that Dit Is Normaal read to passersby in on the streets in the Netherlands, but they see Christianity as a religion of peace, and Jesus Christ as the Prince of Peace. There is no more reason in the Quran for Islam to be a violent religion than there is in the Bible for Christianity to be a violent religion. It all depends on how we read and interpret our holy books. And right from the outset, we should at least be aware of what’s in our own holy books. Millions of Christians have never read the Bible. And if you don’t know what’s in the Bible, it’s easy to jump to negative conclusions about the “violence” of the Quran—as Dit is Normaal has shown in their video. The idea that the Quran is violent while the Bible is peaceful is based on simple ignorance of what’s actually in the Bible. But the real question is what do we do about the violent passages in the Bible or in the Quran? How do we read them? What do they say about our lives today? Many of our world’s holy books, including the Bible and the Quran, were written in violent times. And they reflect that violence in the stories they tell. Does this mean we, too, are meant to be violent? Does it mean that the Bible and the Quran endorse war and bloodshed, maiming and killing? Obviously some people think so. But there is a different way to read, understand, and apply to our lives the violent passages in the Bible and in the other sacred literature of humankind. The wars we fight with one another using swords, guns, and bombs are not the only battles we humans face—nor even our greatest battles. We humans are fighting a spiritual battle within our own souls. And we are fighting moral battles for the soul of humanity. These are not battles of nations and factions fought with machine guns and fighter jets. They are battles of justice against injustice, of truth against falsity, of good against evil. They are battles against the deeper human enemies of greed, grasping for power, self-absorption, despair, and hopelessness. From inner enemies such as these come all of our outward wars and conflicts, and the death and destruction they bring in their wake. When we read about war and killing in the Bible or the Quran, it takes only a small adjustment in our mind—a lifting up of our mind and heart to a higher level—to interpret those violent passages as being instead about the spiritual and moral battles we must fight to overcome the true enemies of humanity. These enemies are not other human beings or other nations. They are our own individual and societal focus on wealth, power, and personal pleasure at the expense of justice, compassion, love, and service to our fellow human beings. Whether we are Christian, Muslim, Jewish, or of any other religion that looks to sacred books for guidance and inspiration from God, we can look deeper, with a more spiritual eye at our holy texts. We can find there marching orders, not to go to war against our fellow human beings, but to go to war against human greed, oppression, and injustice in all of its forms. This is the true, deeper meaning and message of the wars and conflicts in the Bible, the Quran, and every other holy book throughout the many nations, races, and cultures of the world. What about Violent Religions? Is God Really Bloodthirsty and Vengeful? What is the Wrath of God? Why was the Old Testament God so Angry, yet Jesus was so Peaceful? It’s so true our human natures and inherent self-prejudices need little more than a gentle nudge, or prod, from the news media or social events to lead us easily into skewed views and perceptions. Most people are too quick to judge and label. We all must strive to maintain focus on the good rather than the bad. Definitely agree; the problem is, as always, how do you tell fundamentalist s of any belief system that they are wrong? You don’t! They won’t listen to you anyway. Even if you point it out straight from the Bible, they will still stick to their wrong beliefs. I know this from experience. I think people who commit violence in the name of God are the worst people on earth. And the worst people in the eyes of God. Thanks for your comment. Committing violence in the name of God certainly is a contradiction of the nature of God as I believe in God. Unfortunately, many people on this earth are in low and violent states. And they make religion—and God—violent in their own image. For more on this, please see: What about Violent Religions? Is God Really Bloodthirsty and Vengeful? Sharia Law condones the execution of homosexuals. It also condones “honor killings”. Most muslims living in western countries want to impose Sharia Law. Your thoughts? I would question the statement that most Muslims living in Western countries want to impose Sharia law. Perhaps some of the fundamentalists do. But the moderate Muslims who are most likely to emigrate to Western countries often do so precisely to get away from the harsh fundamentalist regimes and cultures that impose Sharia law. More generally, my response is that Islamic fundamentalism has the same problems as Christian fundamentalism and every other kind of fundamentalism. Fundamentalists generally want to turn back the clock to an earlier, less enlightened, and less ethical time period of human history, when strict commandments and harsh penalties were necessary to keep people in line. We no longer live in the cultures that existed several thousand years ago. We’ve made some progress since then as a human society. We no longer need such harsh laws and severe punishments to keep order in society. So why would we want to go back to an earlier, less enlightened, and less spiritually advanced time?